All of my hand made bracelets are designed & created by me. 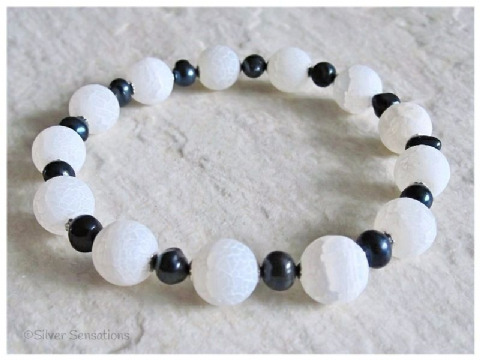 This category currently includes semi precious gemstone beads of White Frosted Dragon's Vein Agate & Black Onyx. 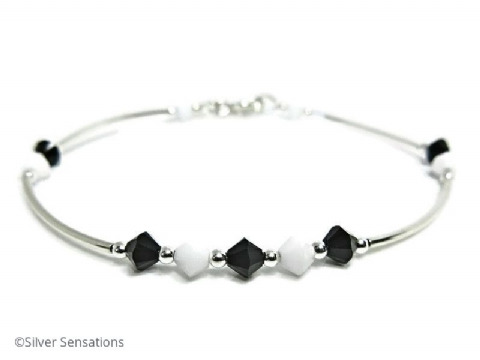 Some designs also include Swarovski Crystals and/or small glass beads and this will be clearly stated. Please take into account that larger beads do wear shorter.